Creighton R. Castle | Giffin, Winning, Cohen and Bodewes, P.C. Creighton Castle concentrates his practice in tax planning and controversies, business advising and transactions, real estate matters, estate planning, and probate matters. As a Registered Certified Public Accountant, Creighton possesses over 20 years of professional experience in tax planning. Creighton has successfully litigated and negotiated tax matters for clients, has represented clients before the Illinois Department of Revenue and the Internal Revenue Service, and has extensive litigation and consulting experience relating to the Illinois franchise tax. Creighton has assisted hundreds of businesses, both privately and publicly held regarding associations with legal issues involving their formation and operation, including contractual disputes. His practice also includes merger, acquisition, purchase and sale transactions. Among these, he has served as counsel for the sale of several nursing homes, industrial facilities, and major beer distributorships. He assists businesses with succession planning and individuals with their estate plans. Creighton regularly assists not-for-profit organizations with their acquisition of 501(c) status, and governance issues, as well as ongoing management of their legal issues. Creighton has served as counsel on numerous residential and commercial real estate transactions. He is a member of the Rotary Club of Midtown and is a past president of that organization. He is also on the board of directors for the Elizabeth Ann Seton Program. 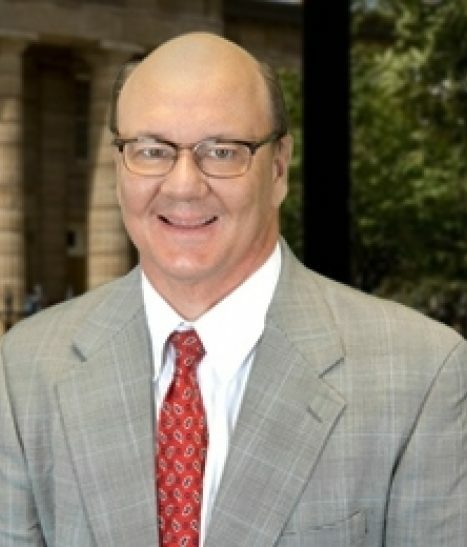 Previously, Creighton was an associate at Piper Marbury Rudnick & Wolfe in Chicago where he advised on tax issues affecting real estate investment trusts (“REITS”), partnerships, and limited liability companies, and engaged in due diligence projects involving acquisitions of publicly held REITs. Prior to his employment with Piper Marbury Rudnick & Wolfe, he held a Tax Manager position with Ernst & Young LLP where he advised on tax issues for publicly held REITS, real estate developers, and entrepreneurial type service and manufacturing companies. Prior to his involvement with Ernst & Young LLP in its Chicago office, Creighton was a Tax Senior with Ernst & Young LLP at its National Tax Department in Washington, D.C. where he focused his practice on taxation of partnerships, joint ventures and limited liability companies, drafted IRS ruling requests and tax opinion letters, and advised on a variety of federal and state income tax issues referred by its practice offices.